TravelPulse was on hand at Tianguis Turistico in Acapulco last week. Over the next few years, $300 million will be invested in the state of Guerrero on the west coast of Mexico to further grow the tourism industry in the destination. This will include a new hospital to develop and promote medical tourism in Mexico, the construction of a new stadium (three times larger than the current one), hosting an annual Acapulco tennis tournament, which takes place every year in February, as well as the opening of new museums. But these are only some of the projects announced by the Minister of Tourism of the State of Guerrero, Ernesto Rodriguez Escalona, in the framework of the last Tianguis Turistico which was held from April 7 to 10 in Acapulco. "This year's event was a great success," said the Minister. “Once again, we broke a record of goodwill. This is the case year after year. For us, this event is the perfect opportunity to showcase the diversity of Mexico's tourism offer and Acapulco in general, "he said. Highlighting the cultural aspect of Acapulco, and the state of Guerrero in general, a destination that is perhaps better known for its beaches than for its history, is all part of the investment plan of the Ministry of Tourism. "Mexico cannot be understood without the history of the state of Guerrero," said the Minister. “Much of the country's history, such as the signing of the treaty of independence, was written in that state. The first congress of the country as well as the design of the national flag took place here. For us, these cultural aspects are very important." Among the major news announced in the framework of the Tianguis - nine new flights coming from Canada in the next couple of years, coordinated efforts between the government of the State of Guerrero, the municipal police and the federal police in order to increase the security in the destination, as well as the development of new road infrastructures and attractions. "Acapulco was the first major destination in Mexico in the 1980s because of its location; we now want to present the new face of the destination and increase the trust of tourists to the place," said Piquis Rochin, International Director of Promotion for Acapulco tourism. 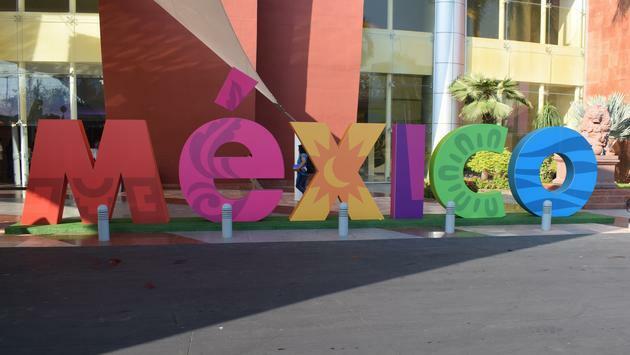 Mexico's cultural products were particularly popular with buyers this year as part of Tianguis, followed by beach & sun products, nature, adventure and "meetings and events", said the Secretary of Tourism of Mexico, Miguel Torruco. Tianguis ended on a positive note with a record of more than 47,000 business appointments that were organized between the 344 buyers and 300 tour operators present, an increase of 6% over the previous year. In January and February 2019, more than 6 million international tourists visited Mexico, an increase of 4.4% over the same period of the previous year. These visits generated tourism expenditures valued at $4.5 billion and represent an increase of 16.7% over 2018. The cruise business is also growing strongly in Mexico, with 1,782,000 cruise passengers calling at Mexican ports in the first two months of the year. This represents an increase of 7% compared to 2018.